Chary Atayev has been appointed Turkmenistan’s Extraordinary and Plenipotentiary Ambassador to Belgium, the presidential decree said. Earlier, Atayev served as Turkmenistan’s Extraordinary and Plenipotentiary Ambassador to Tajikistan. Previously, Hemra Togalakov held this post. 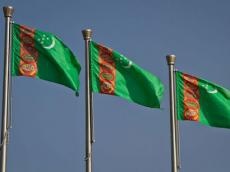 The political consultations between Turkmenistan and Belgium have been recently held in Brussels. The representatives of Turkmenistan and Belgium discussed the issues of regional cooperation, including energy and security issues. Moreover, proposals were voiced to unite peacekeeping initiatives to combat such international challenges as terrorism, extremism and drug trafficking. Ashgabat and Brussels have recently intensified economic relations. Belgian ENEX Process Engineering SA has opened the official representative office in Ashgabat, Turkmenistan. The company cooperates in the processing and chemical industries, telecommunications, as well as the implementation of environmentally friendly energy-saving technologies.